Your one source for quality hunting, fishing, camping and outdoor gear. Choose from over 150,000 products. May be redeemed online, through catalog or at retail stores. © 2014 Cabela's Retail IL, Inc. TERMS AND CONDITIONS: USE OF THIS CARD CONSTITUTES ACCEPTANCE OF THE FOLLOWING TERMS. 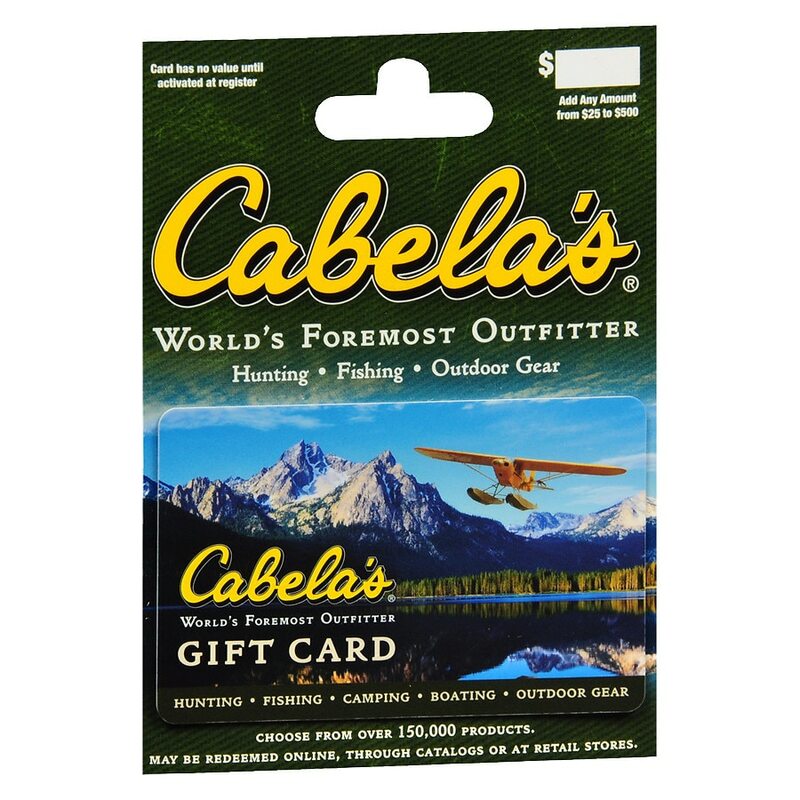 Gift card is issued by Cabela's Retail IL, Inc. Card balance may be checked, or its remaining balance may be used to redeem Cabela's merchandise and services, through the Cabela's catalog (800.237.4444), Cabela's stores, or the Cabela's Website (cabelas.com). Treat this card like cash. Lost, stolen or damaged cards replaced only with proof of purchase or as required by applicable law. This card is not a credit or debit card, has no implied warranties, is non-rechargeable, and may not be used toward payment of a credit account. No fees. No expiration. Cabela's Retail IL, Inc. reserves the right to change these terms at any time.